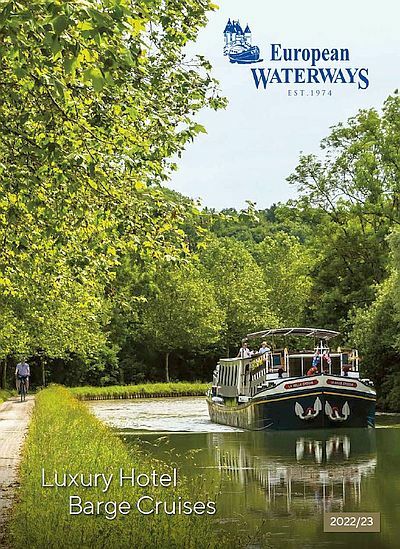 Guests are met near Tours** and transferred by private chauffeured minibus to hotel barge Nymphea where the crew and a Champagne Welcome await you at our mooring opposite the 17th century Moulin de Nitray. Dinner on board. A morning cruise through two locks takes us to the quaint town of Larcay where we moor under the weeping willows for lunch. In the afternoon, we enjoy an excursion to Château de Villandry, the last of the great Renaissance châteaux to be built on the banks of the Loire. The château is world-renowned for its amazing array of ornamental, water, vegetable and herb gardens. Dinner on board. After a morning cruise past no less than six private châteaux, we tie up opposite the hamlet of Vallet, a cluster of classic Tourangeau architecture grouped around its 18th century mill. From there we drive to Amboise on the banks of the Loire, where we visit the Royal Château d’Amboise, a royal residence of the Kings of France for 200 years. We also visit Château du Clos Lucé nearby, Leonardo Da Vinci’s home for the last 3 years of his life. Dinner on board. Whilst cruising in the morning we may pull in to the tiny landing stage next to Domaine de Fontenay. A two-minute walk brings us to the courtyard where we can taste their range of Touraine wines as an aperitif before lunch. 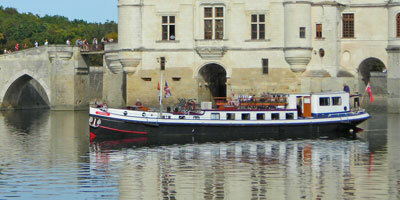 In the afternoon we cruise under the 5-arch bridge of the impressive Château de Chenonceau and moor at Chisseaux. From there we take a short drive in the air-conditioned minibus to visit Chenonceau, often called ‘the ladies château’, after those such as Henry II’s mistress, Diane de Poitiers, who added the bridge over the River Cher and the beautiful gardens. Upon our return we cruise upstream to Chissay-en-Touraine and have dinner tonight in one of the local restaurants specializing in Loire regional cooking. A morning cruise takes us towards the troglodyte village of Bourré and we moor near one of the more unusual dwellings, La Magnaneraie. The Coquillat family have grown up in this hillside troglodyte habitation, which has been in turn a wine cellar, a quarry for the tuffeau stone, and lastly, a silkworm nursery. After lunch we drive to Valencay, one of the most splendid châteaux of the Loire. We then cruise to Montrichard where we moor for the night. Dinner on board. Following breakfast, a short stroll takes us to the heart of Montrichard and into one of the largest street markets in Touraine. We also explore the 11th century château overlooking the medieval town square. Before lunch we can visit the local vineyard of the Meriau family, to taste the regional Touraine vintages. In the afternoon, we enjoy another passage under Chenonceau and arrive at the hamlet of Nitray in time to visit the château and rose garden. Enjoy an aperitif from their vineyards before the Captain’s Farewell Dinner on board.